In the frame of electromobility project and in cooperation with ČEZ Group we provide charging station for electric vehicles. It is placed in 1.st floor and allows connect cars in Mennekes plug with 400V/32A or standard plug with 230V/16A. 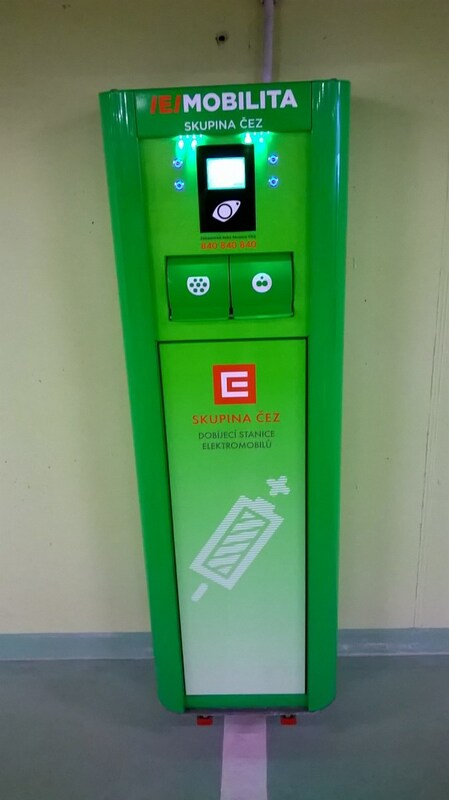 Charging is paid comfortably by chip issued by ČEZ company. More informations at http://www.elektromobilita.cz/. We offer also charging plugs for electric scooters and electric bikes.